After more than a year of being on hiatus, it’s time to rally the realm. The Cast Beyond the Wall has returned with a full preview of season 7! Caleb is re-joined by Austin and Daniel to look back at last year’s greatest hits before making their predictions of the the twists, backstabbings and deaths ahead in Game of Thrones season 7. The podcast kicks the conversation off by reflecting on the treachery going on in the north. Jon Snow may have been declared the new King in the North, but Sansa and Petyr Baelish have other ideas about who should actually rule the seven kingdoms. With Bran and Arya both making their way to Winterfell, it appears there may be a happy moment for the star family yet. South in King’s Landing, Cersei has just taken the crown after blowing up all of her enemies including Queen Margery in the Sept with wildfire. 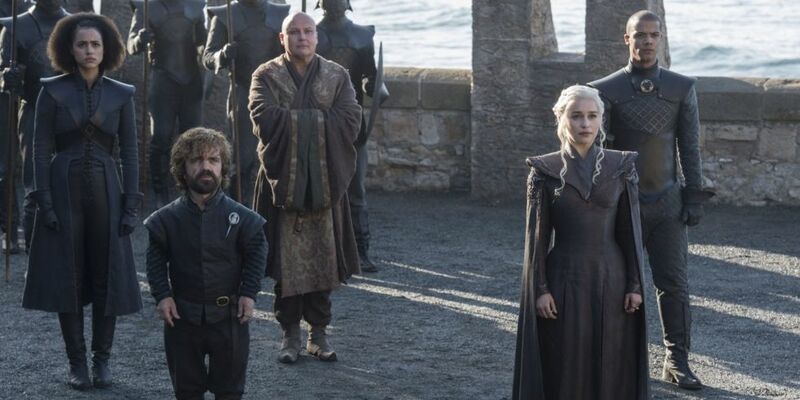 She continues to have Jamie standing uncomfortably by her side as she waits for the inevitable encounter from Daenerys and her legions. To close out the conversation, The Cast Beyond the Wall makes their big predictions about who dies in this incredibly high stakes game. They also announce this year’s special Fantasy League put on by The Verge. This season the your favorite Game of Thrones podcast is going big in ways you won’t forget.